Solve it! – the School for social entrepreneurship is a program consisting of series of workshops, which helps young people interested in doing something with positive impact, to learn about social entrepreneurship and develop new ideas. The target group of the program are young people and students. In 2016, Mladiinfo had organized a summer and winter edition of the program. From the period of March to August 2017, Mladiinfo will be running this program for a third time. This edition of Solve it! 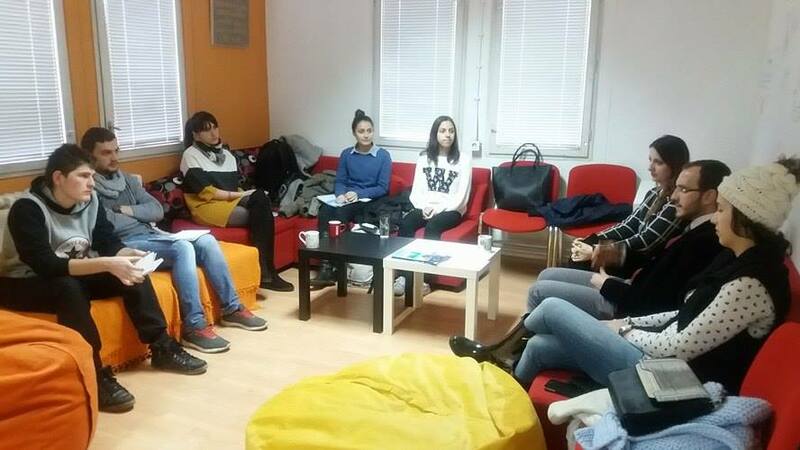 is dedicated to inter-ethical relations and leveraging the cooperation among young people in Macedonia through the process of social entrepreneurship. During the program, participants gain an understanding of social entrepreneurship and its potential to solve problems in society. Over the 4 weeks, participants identify problems, discuss ideas, and work on solutions. Ideas with strong potential are encouraged to take part in the Social Impact Award 2017 or one of the other opportunities offered by Mladiinfo. Each participant that has completed at least 5 modules (out of 7) will receive a course certificate from Mladiinfo International. The program includes 6 sessions over 6 weeks with following schedule (schedule is subject to a change). Field visit of the social enterprise. When to formalize the business cost structure, legal framework in Macedonia. Development of products / services and test market. Interactive presentation of the idea. At the end of the program participants have an understanding of the potential of social entrepreneurship and the teams have a project idea that is concrete, has an impact potential and is ready for further Acceleration Program.